Here you can find the description of our standard products. 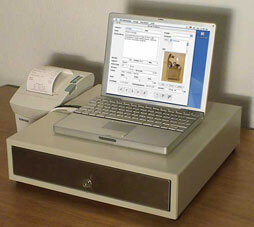 All POS products include sample programs for 4th Dimension and FileMaker. 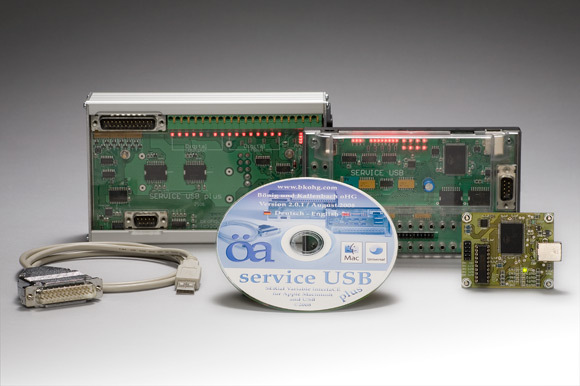 The Service USB Driver is universal binary and supports both Power PC- and Intel-based Macintosh computers. This is a professional interface, which is best used in laboratories, fairs and for industrial purposes. It has an integrated wide range power supply and can be used all over the world on every power outlet. 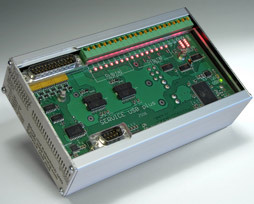 Eight digital inputs, eight digital outputs as well as two analog eight bit inputs and one RS232 serial connector can be used of Runtime Revolution, 4th Dimension, FileMaker, RealBasic, AppleScript, Ragtime, Xcode C/C++, Cocoa, Java, CodeWarrior Carbon, MaxMSP, LabView and DirectorMX. 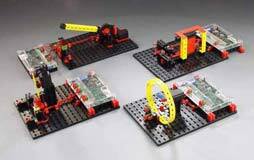 fischertechnik®-construction kits are accessories to our variable USB interface Service USB classic.